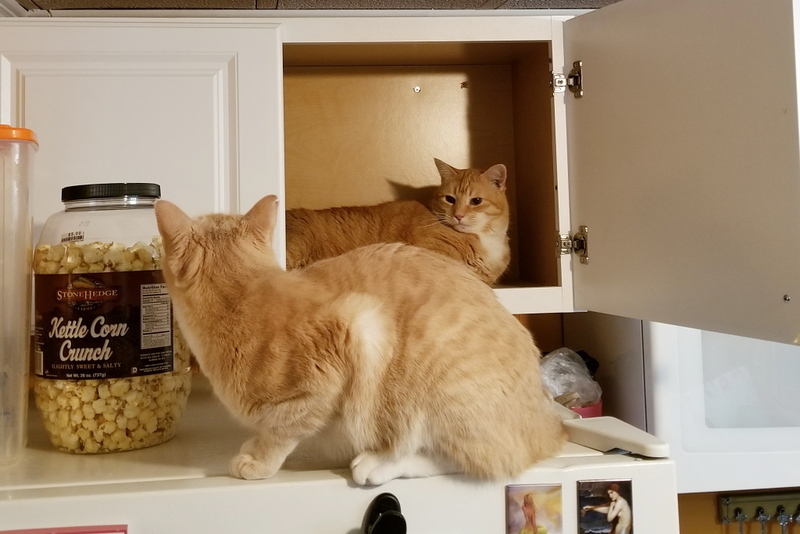 Chris figured out how to get into the cabinet above the refrigerator. That wasn’t easy because the door opened towards him which blocked his way in. He somehow figured a way around that and probably thought he could enjoy some time to himself but that was not to be. Frankie saw what he did and came to investigate. Better luck next time, Chris. This entry was posted in Uncategorized and tagged Cats, funny, privacy on September 26, 2018 by Charles Huss. You are right about that. He is smart and determined. Chris you are an artist!!! can we take lessons once? Chris already knows about the pantry but, unfortunately for him, so does everybody else. Monkey see – monkey do! Crazy monkeys…. Poor Chris, all that work for nothing. Well, at least he learned how to get in there for next time. Way to go Chris! That looks like fun. The cupboards are so full of stuff her that I couldn’t get inside. We just moved here so give it time. 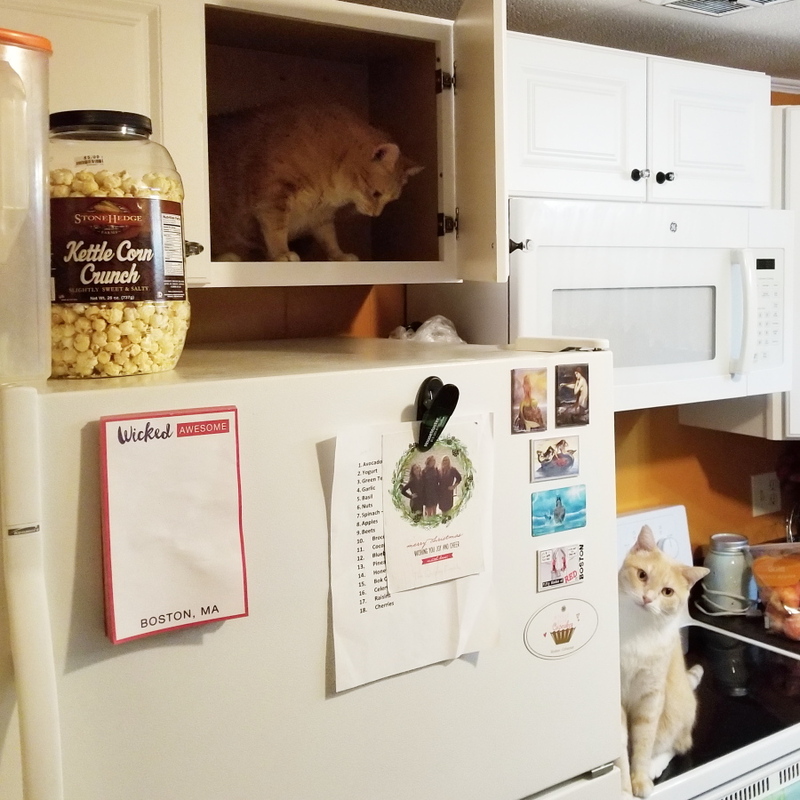 you have the silliest cats ever!! My Bobo never went up that high nor does Cody! Too funny! Silly is a good word to describe them. I should put a towel in there.